What typically comes to mind when contemplating our personal environmental footprint is the energy efficiency of the car we drive, how religiously we recycle, and maybe whether or not we have a water thirsty lawn. However, everything we do and own has impacts on the environment, and that includes the choices we make in dressing ourselves. Nonetheless, clothes do wear out and wardrobe adjustments become necessary when we take on new jobs or sports, change weight or treat ourselves to the latest fashion. So the question remains how to make apparel selections which better protect both the environment and the people involved in the production process. The good news is that there are already more sustainable clothing options on the market, plus there is game-changing movement within the apparel industry to provide consumers with a point of purchase “index” conveying the environmental footprint of items being offered. Conventionally grown cotton is considered by some the world’s dirtiest crop. It relies heavily on synthetic chemicals – fertilizers, herbicides, insecticides and defoliants – which can be toxic to farm workers and wildlife, pollute local water supplies and contribute to climate change because they are energy intensive to manufacture. Conventional cotton is also grown as monoculture, which degrades soil quality. 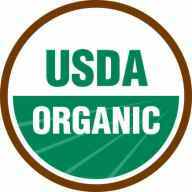 Like organically produced foods, organic cotton must meet the strict federal guidelines of the National Organic Program. GMO seeds are prohibited (about 90% of cotton planted in the U.S. in 2016 is GMO), and the cotton must be grown without synthetic chemicals. Instead, natural techniques are used to preserve biodiversity and healthy soil. Clothing made of bamboo is growing in popularity too and offers distinct environmental advantages, even over organic cotton. Growing bamboo for textiles naturally requires neither pesticides nor fertilizers. Whereas cotton production requires extensive irrigation, bamboo is typically watered by rainfall alone. Bamboo can grow a foot per day and produces over 10 times more fiber per acre than cotton. Furthermore, cotton needs to be completely replanted annually, releasing CO2 from the tilled soil, whereas bamboo automatically grows back after harvesting, thus leaving CO2 sequestered in the soil. Polyester has long been the go-to material for weather-resistant outerwear, but the fact that it is a plastic polymer synthesized from petroleum lends it a dark underbelly at all stages in its lifecycle. For starters, petroleum is a non-renewable resource. However, because polyester fibers are spun from the same plastic as used in plastic drink bottles (? PET), some clothing manufacturers have improved the environmental footprint of their product line by offering fabrics made from used PET bottles and/or industrial polyester waste scrap. Compared to virgin polyester, manufacturing recycled polyester requires less energy and produces less air, water and soil pollution. In theory, it can be recycled again and again (closing the loop). In fact, several clothing manufacturers are offering recycled polyester lines, and some have take-back programs to recycle used polyester back into new garments or other products. However, one type of polyester textile, fleece, has been singled out as causing widespread ocean pollution and threatening the ocean food web during its useful lifetime. The tiny fibers (<5 mm) that lend fleece its softness and warmth are sloughed off during laundering and end up in the ocean and other bodies of water when they pass through water treatment plants. Between 8,500 and 250,000 microfibers are shed when a single fleece jacket is laundered, according to a joint study by clothing manufacturer Patagonia and U.C. Santa Barbara’s Bren School. In the ocean, plastic microfibers become vehicles for transferring contaminants in seawater into the ocean food web. That’s because petroleum-based plastics in general soak up oily pollutants common in seawater (like DDT, PCBs and flame retardants), concentrating them up to a million times their level in the surrounding water. The tiny dimension of the microfibers actually adds to their toxic potential because of the greater relative surface area to which pollutants can adhere. Moreover, studies have shown ingestion of microplastics by even tiny zooplankton – with the potential for transfer of adhered chemicals up the ocean food chain – as well as filter feeders like mussels and oysters that humans consume directly. Another end-of-life downside of polyester is that, like petroleum-based polymers in general, it does not biodegrade. Because fabrics made from plant materials like cotton and bamboo are biodegradable, they can, in theory, be composted. 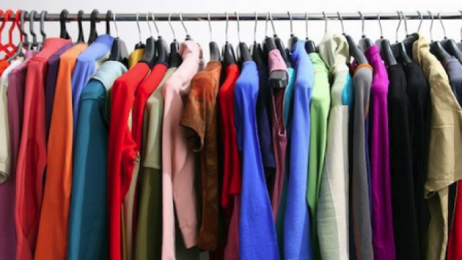 The reality, however, is that most all discarded clothing still ends up in landfills. Fair trade is a social movement aiming to promote sustainable livelihoods for farmers and workers in developing countries, while also protecting the environment. As an alternative to conventional trade, producers profit from better wages and working conditions while consumers profit from knowing their purchases help reduce poverty and harm to the environment. 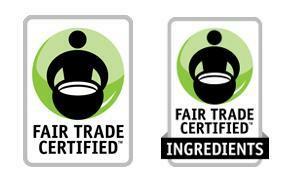 There are a number of fair trade federations around the globe which certify and label products that meet set standards which cover livable wages, safe working conditions, worker empowerment, prohibition of child labor, and protection/conservation of the environment. Fair Trade USA is the leading certifier of fair trade products sold in the U.S., and Fairtrade International is the largest fair trade system globally. Products selected for fair trade are typically those produced for export to developing countries. Textiles are among them, and others include coffee, tea, chocolates, flowers, and other agricultural products. Cotton is the dominant fair traded textile, coming from such diverse regions as India, Pakistan, Nepal, West Africa, Hong Kong, Thailand, Malaysia and Indonesia. The entire cotton production process is overseen in fair trade certified clothing, from cultivation through dying and stitching. Fair Trade USA has three levels of apparel certification depending on the content of certified cotton and whether the facility in which the garment was sewn is also certified. From an environmental standpoint, the emphasis is on elimination of over 200 chemicals deemed hazardous to humans or the environment by a task force of the American Apparel and Footwear Association: includes asbestos, flame retardants, pesticides, phthalates and toxic metals, among many others. Fairtrade International’s Textile Standard also stresses prohibitions on toxic chemicals specific to the textile industry, along with wastewater treatment strategies to protects groundwater, air emission controls and waste reduction measures. Though fair trade clothing is more often than not made of organic cotton, neither Fair Trade USA nor Fairtrade International standards require organic certification. Both do, however, disallow cotton grown from GMO seeds. Organic cotton, bamboo, recycled polyester and fair trade all represent palpable movement within the apparel industry to appeal to and heighten consumer consciousness about environmental protection and social justice. However, the garment and footwear industry is also mobilizing to make a giant, industry-wide leap forward in improving the environmental and social impacts of apparel through development of a standardized global means for consumers to judge an item’s footprints right from the product label. It’s being called the Higg Index, drawing inspiration from the dedicated search by particle physicists for the Higgs boson. The story of the Higg Index began when two unlikely bedfellows, Patagonia’s founder Yvon Chouinard and Walmart’s chief merchandising officer John Fleming, together penned an appeal in 2009 to chief executives of the world’s biggest apparel companies to unite in developing a uniform index to reflect the sustainability of their products. Chouinard and Fleming pitched the Higg Index as a win for everyone: industry, laborers, consumers and the environment. Uniform standards would avoid wasteful industry competition and consumer confusion that would ensue if individual companies developed their own sustainability measures; it would also preempt inevitable government imposition of sustainability standards. The result was the formation of the non-profit Sustainable Apparel Coalition (SAC) which now boasts over 180 members from across the globe – including dozens of familiar name brands and retailers, manufacturers, the U.S. Environmental Protection Agency, non-profits and others – who, by jointly building the Higg Index, have been working to assess and improve the environmental, social and labor impacts of the entire supply chains of products and services. The first version of the Higg Index was released in 2012 as a self-assessment tool for internal industry application, with separate modules for gaging environmental and social/labor impacts. The composite environmental scores reflect the full lifecycle attributes of products, including raw materials, energy, water, transport and packaging, plus emissions and waste generation from cradle to grave. SAC just announced in June that the previously confidential Higg scores of certain industry participants will be available to the public starting in 2018, and by 2020 some version of the Higg Index should start appearing on product labels. Some may question whether all this fuss over the environmental impact of garments and footwear is really called for. The answer is a resounding yes. As example, 2/3 of a typical American’s greenhouse gas emissions come, not from personal transport and home energy use, but from consumer purchases, according to a recent analysis by the Center for Global Development, a non-profit policy research organization. The apparel industry is thought by some to be among the most polluting of industries, right up there with oil, because of the global size of the industry, the vast inputs of water, energy and chemicals during manufacture, and the discharge of dye-containing wastewater into bodies of water. Though real data may be lacking to back up such a claim, the fact that Americans alone dispose of nearly 13 million tons of textiles a year (roughly 80 pounds for each man, woman and child) is one very tangible measure of the magnitude of the industry’s environmental footprint. This particular reality has spurred a number of well-known companies – like H&M, Levi-Strauss, The North Face, American Eagle Outfitters, Eileen Fisher, Nike, Patagonia and Zara – to take back used clothing (not just polyester) at their stores in hopes of finding ways to close the loop and recycle old clothing made of any textile into new. Though a truly closed loop, circular economy is their ultimate goal, thus far any collected used clothing that is not sent overseas or incinerated for energy production is still undergoing downcycling into items like carpet padding and stuffing for toys. Though the environmentally conscious consumer might be pleased to know there are already several options on the market which allow greener choices when shopping for apparel, minimizing new purchases and wearing garments until they are truly worn out probably remains the best environmental choice. This post reminds me of one that Marc Snelling wrote a few years ago, called “The United Nations in My Closet” http://obrag.org/?p=79608. There are a few good thrift stores around – Discovery Thrift in Pt. Loma is one of them, and clothes that are well worn are like broken – in slippers – very comfortable.